Family Tides is a beautiful two story home, complete with three bedrooms and two bathrooms, perfect for eight guests! With a two car garage and a personal outdoor deck on the second floor, you'll feel right at home. Snuggle up on the deck and witness a beautiful Oregon coast sunset with your loved ones. The beach is only a few blocks away, so you'll feel close without having to deal with the bustling summer traffic. Family Tides is perfect for two families and four kids, or even a family reunion! 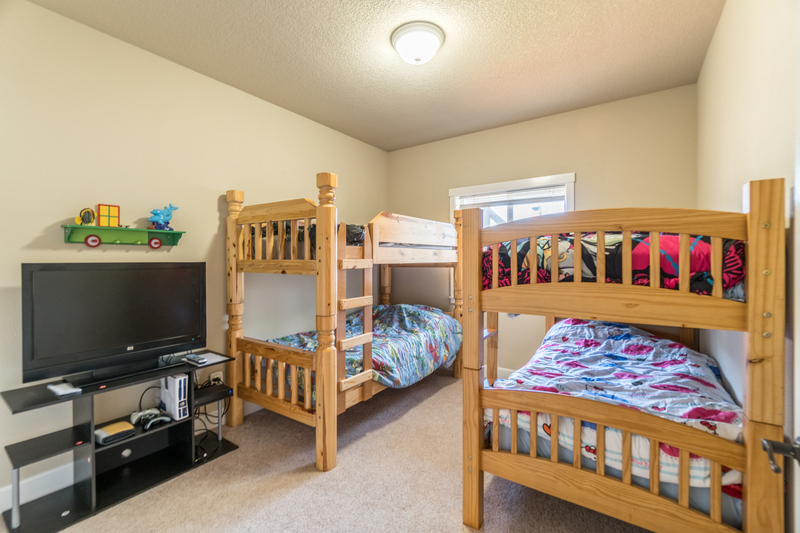 The first bedroom contains a king size bed, the second had a queen size bed, and the final bedroom has two sets of bunk beds, perfect for the kids! The kids room even comes with its own TV setup so the kids can hang out and watch movies on their own on those rainy days. 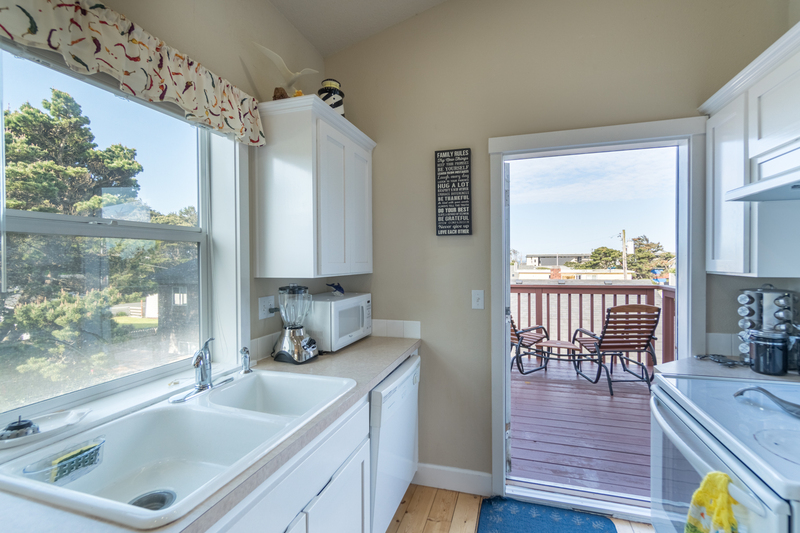 Modern and stylish, Family Tides in Lincoln City offers plenty of natural light through its many picturesque windows. 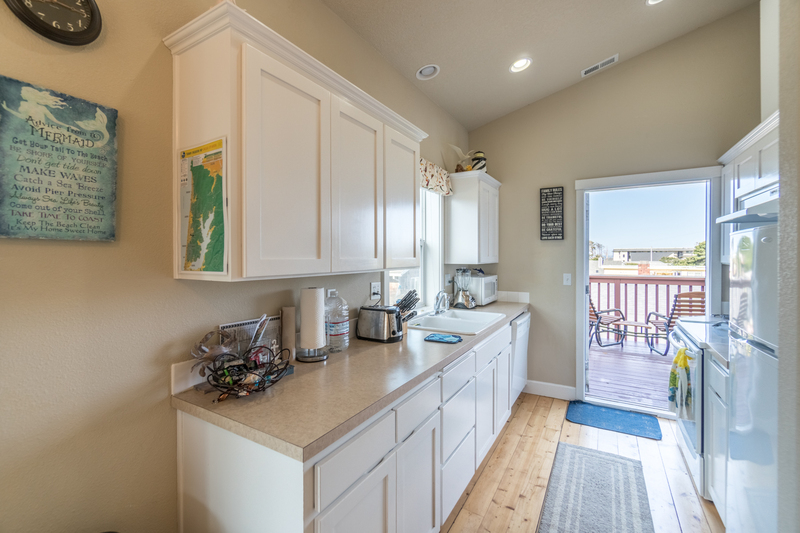 Offering new and modern appliances, you'll be able to make any meal you please while staying at Family Tides. There are also two full bathrooms at this home, so showering and getting ready for the day will be a breeze! What are you waiting for? 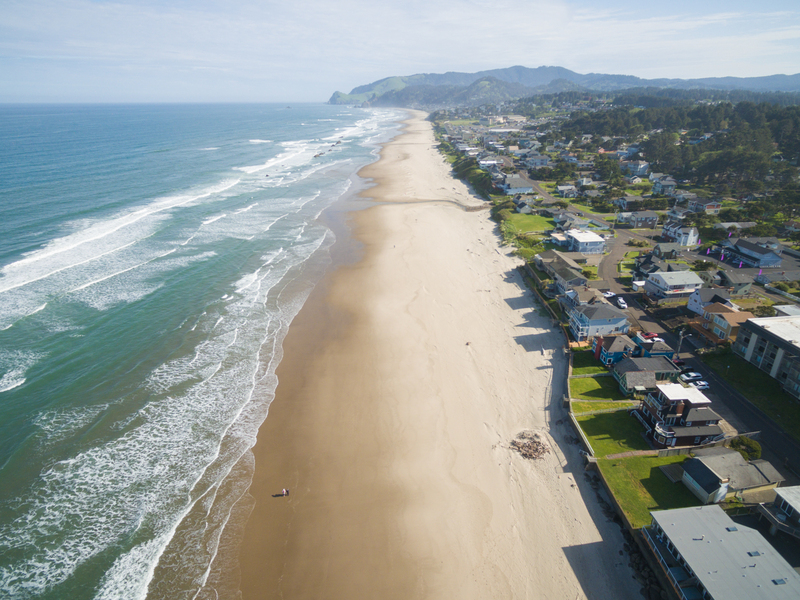 Grab your family and head down to Family Tides with Oregon Beach Vacations! Beach access: Go to Marine Ave turning Left on to NW 31st pl turn right on to NW Jetty go to a small parking area where you can gain beach access. "This house was beyond wonderful, the location and the overall experience was great. met the expectations and We had a wonderful time." "Hello Monica, Thank you for your review. We are glad to see that you enjoyed your stay at Family Tides! We hope this means we'll be seeing you back again soon on the Oregon coast for another wonderful getaway!" "My family had a great time at this vacation rental. Everything worked great. It had great amenities for everyone. WiFi, Xbox, cable, a few board games, washed, dryer,.. etc! I will be coming back to stay again. " "Hello Arthur, Thank you for your review. We are very happy to hear that you and your family had a wonderful visit to Family Tides! We can't wait to have you back again soon!" "We booked super last minute and were very surprised and pleased with this home. The home was clean, close to the beach, and they had the perfect amenities for us. Bluetooth, premium cable, grill, cute and comfy patio rockers. The kids were comfy and we had fun. Glad we were able to book this home 😊"
"Hello Lelani, Thank you for your review. We are so happy to hear that you had a great stay with your family at Family Tides. It sounds like this home had everything you needed to have a great time. We are happy as well that you were able to book it last minute! We hope to have you stay with us again in the near future!" 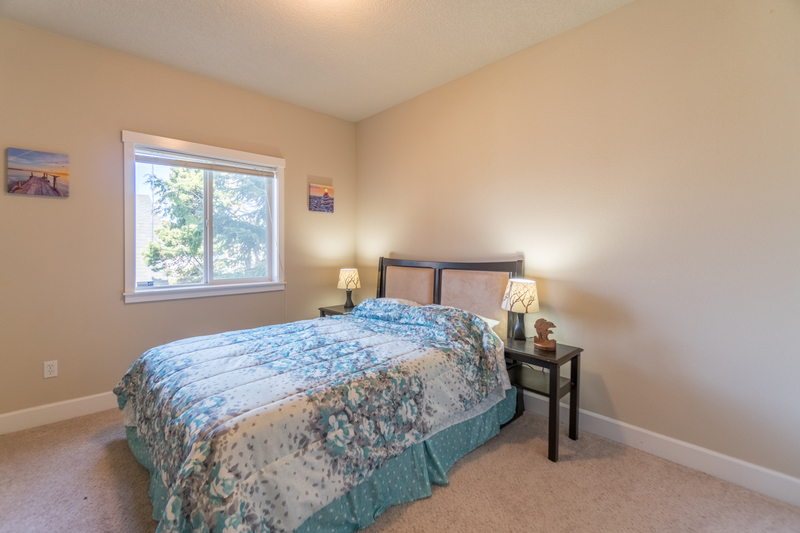 "This property is a wonderful setup for our family to meet and spend time together. The beach is an easy walk from the house." "Hello Margo, Thank you for your review. We are glad to hear that you enjoyed your stay at Family Tides. We hope to have you and your family back again soon for another wonderful getaway to the Oregon coast." "The experience of our stay was very relaxing and accommodating. 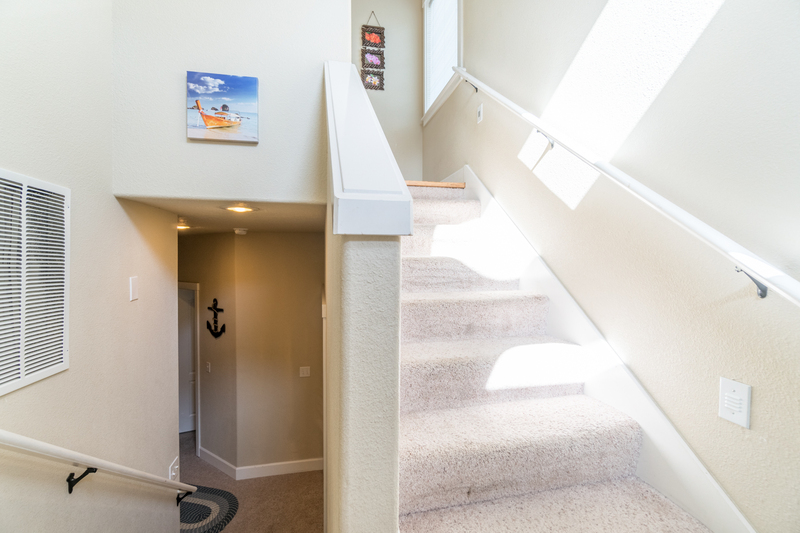 This lovely two story home allows for adults to relax upstairs with the open floor plan while separate from the kids to enjoy their own personal space with personal full bath and room with Xbox 360 games WiFi and bunkbeds downstairs. Garage has a mini air hockey table as additional entertainment. Walk to the beach is short and enjoyable three blocks. I will definitely stay here again and take advantage of the upper floor deck that has a gas BBQ! BBQ with a view! How relaxing! Centrally located to outlet mall, casino and the beach. " "Well kept house on a quiet street, but close to everything. I would definitely stay at the Family Tides again." "Hello Craig, Thank you for your review. We are glad to see that you had a great time at Family Tides. We look forward to having you stay with us again in the future." "We felt fortunate to be able to rent this home when demand was so high in the area for places to stay to view the solar eclipse. We were not disappointed!" "Hello John, Thank you for your review. We are glad you had a great stay at Family Tides! We hope to see you back for another stay in the near future!" "We had a great experience at this rental. Best sleep I've had in months plenty of room for everyone and would totally consider staying here again. It really did feel like home. We cooked several meals in the kitchen and enjoyed the fireworks on the 4th of July from the beach access a few blocks down. We drove down to Newport a beautiful drive, walked around the town and had the best dinner at a restaurant called Clearwater tons of fresh crab. We did a little shopping in Lincoln City outlets and explored the beaches near this rental home. Highly recommend this for a little beach getaway"
"Hello Jen, Thank you for your review. We are glad to see that you enjoyed your stay at Family Tides. It sounds like you and your family were able to enjoy all that the Oregon coast has to offer. We hope to have you back again soon for another wonderful trip on the coast!" "Would rent again. Close to town but off the beaten path. " "Hello Craig, Thank you for your review. We are glad to see that you enjoyed your stay at Family Tides, and we hope to have you back again soon on the Oregon coast!" Great location for the price. It was a short walk to the beach. "Great location. Cute house. Would be nice if they supplied toilet paper and a sponge for the kitchen. Otherwise great house. " "Hello Kristen, Thank you for your review. We are happy to hear that you enjoyed your time at Family Tides. We provide each of our homes with a starter pack of supplies. This includes 2 rolls of toilet paper per bathroom and a kitchen sponge. If you were not provided with these things during your stay, we are sorry about this inconvenience. Please don't hesitate to give us a call should you ever have any problems with your rental. We hope to have you stay with us again in the future. Thank you again for your review." "This was a lovely little two story house only a short walk from the beach. It was perfect for our group of three adults and two kids. I would agree with another reviewer that there are a lot of stairs (observation, not a complaint). It was a little tough on our geriatric dog, and would definitely be hard for a person with limited mobility. This rental had everything we needed--it was well-appointed and decorated in the standard beach house style, but not at all overdone or tacky. The location was fabulous and I would definitely stay here again!" "Hello Amy, Thank you for your review. We are glad to see that you enjoyed your stay at Family Tides. We are also glad you found the house nearly perfect for you and your family needs. We hope to have you back again soon on the Oregon coast for another fantastic getaway!" "We had a great stay at this house. Everything was in perfect condition when we arrived and we couldn't have asked for a better place for a long, family weekend at the beach. 2 adults, 2 kids and 2 dogs and we have more than enough room for everyone to spread out. The wi-fi worked great and the cable package was incredible. DVR was an added bonus! The walk to the beach was an easy one and we were close enough to everything in Lincoln City to get anything we needed. We will definitely add this house to our list when looking for rentals in the future." "Hello Sarah, Thank you for your review. We are so happy to know that you and your family had a great visit together at Family Tides! It sounds like this home was perfect for everyone in your group. We look forward to having you stay with us again in the future!" "The house is well kept and clean. Had one issue during our stay where the smoke alarms went off in the middle of the night randomly. When it did it again the next day we called and had a maintenance man come take a look. He was there within 20 mins, changed the batteries and was on his way. Will definitely be staying here again." "Hello Jessica, Thank you for your review. We are glad to hear that you had an enjoyable stay at Family Tides. We are sorry to hear about the smoke alarms going off during your stay, but we are glad that our maintenance was able to get out quickly and remedy this issue for you! We look forward to hosting you again on the Oregon coast." "This was a nice, clean, comfortable home. This house does have stairs, and stairs! The deck was nice to sit on and hear the ocean, and it was a quick walk to beach access. The only negative I had about this house was the upstairs shower needed a grab bar to get in the shower, it was incredibly high! Other than that, I would stay in this house again. I have stayed in quite a few OBV homes and have never been disappointed with the homes that they offer." "Hello Tammy, Thank you for your review. We are glad to see that you enjoyed your stay at Family Tides. We will definitely look into getting a grab bar for the shower. Thank you for bringing this to our attention. We hope to have you stay with us again soon on the Oregon coast." "Everything was clean and great for our stay. We were a bit nervous about the TVs working from other reviews, but they worked great for us. They also have info cards to help those who might not know how to work the TVs. 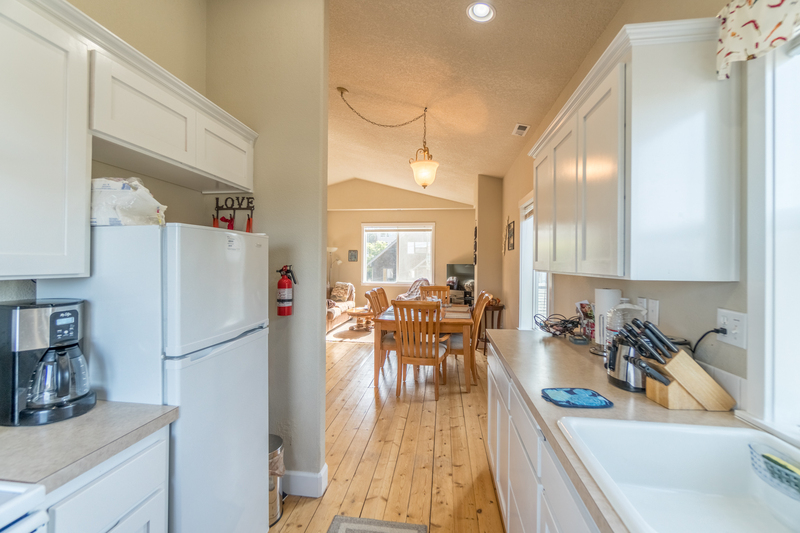 We were very happy with everything stocked in the kitchen and the welcome items, such as dishwasher packs and laundry packs from Oregon Beach Vacations. The only thing I would say is that the location is close to the beach, but a little further than we had hoped. We ended up driving our car to the public accesses that were a 2 minute drive away. " "Hello Shanley, Thank you for your review. We are very pleased to see that you had a good stay at Family Tides. We are also happy to hear that the TVs were working perfectly for you. We hope to have you stay with us again soon in the future!" "We vacation in Lincoln City every May with our daughter and her business partner. This was our third home and by far the best one in our price range that is pet friendly. My husband and I stayed in the upstairs while our daughter and her business partner stayed in the two bedrooms downstairs with their two pug dogs. This allowed us to have space when needed. Although we didn't fix meals there the kitchen was well suited for that. Bathrooms were roomy, showers hot and living space adequate with good tvs. We also took advantage of the laundry facilities which made it nice to return home with clean clothes. We hand washed all our dishes but a nice dishwasher was provided. We hope it is available next year because we would definitely stay there again." "Hello Charlinda, Thank you for your review. We are very happy to hear that you had a wonderful visit to Family Tides! We are glad the home had everything you needed to enjoy your time on the coast. We are looking forward to having you back next year!" "Great place to stay. Short walk to the beach, kitchen adequately supplied, living room furniture fine, quiet neighborhood, could walk to nearby grocery store. I would suggest bringing your own pillows, the ones supplied were not comfortable for us. The beds were just ok. Linens and towels were very nice. Would definitely stay there again. The bonus for us was arriving early and because the house had been prepared we were allowed to check in." "Hello Colleen, Thank you for your review. We are glad to hear that you were overall satisfied with your stay at Family Tides. We hope to have you stay with us again in the future. Thank you again for your review." "Wonderful clean new home-very comfy and we will definitely be back :)"
"Hello Heather, Thank you for your review. We are so happy to hear that you enjoyed your stay at Family Tides. We can't wait to see you again soon on the Oregon coast. Thank you again for your review." "Wish the kitchen was cleaner but overall very comfortable." "Hello Maria, Thank you for your review. We are glad to hear that you enjoyed your overall stay at Family Tides. We are sorry to hear that the kitchen was not cleaned up to your standards. We would have happily sent housekeeping back out to the home to rectify this issue for you. Thank you again for your review, and we hope to have you stay with us again soon!" " Good over all.. Only issue was the T.V. remote.. very hard to work.. no volume control"
"Hello William, Thank you for your review. We are glad to see that you enjoyed your overall stay at Family Tides. We are sorry you ran into a few issues with the TV remote. These issues have since been resolved. Thank you for bringing them to our attention. We hope to have you stay with us again soon on the Oregon coast. Thank you again for your review." "Had a wonderful stay. I would recommend no pets allowed we did experience fleas in the home. Overall great place great location. Will be back"
"Hello Mark, Thank you for your review. We are glad to see that you had a great stay at Family Tides. We look forward to having you stay with us again in the future." "They were delayed in the cleaning of our place and it was not ready in time. This was super frustrating as we were there with our two small children and needed to get inside. There was also an issue with the tv. The volume was turned up way too high and none of the remotes worked to lower it. They sent someone out who was unable to fix it. It was a nice and clean place but I wouldnt stay there again because of this experience. " "Hello Katie, Thank you for your review. We are sad to see that you did not enjoy your stay at Family Tides as much as you were hoping. We are sorry that the TV issue could not be resolved while on your stay. We hope that the refund we were able to offer helped, and we hope that you'll give us another try in the future. Thank you again for your review." "was okay. Toilet was plugged. Dvd player wouldn't work. Tv wasn't synced. Coffeepot didn't work. sprayed water all over counter. Took us 3 hours to get a half a pot. did bring a new one and come fix tv and dvd player the next day. so could not use the first day."